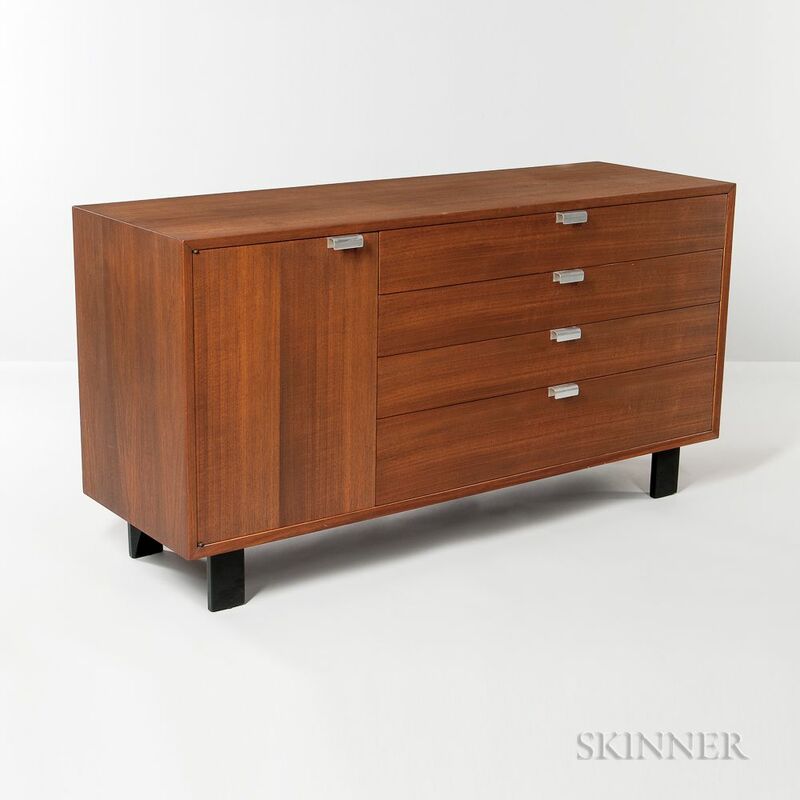 Rectangular walnut case fitted with single-door compartment flanked by four drawers, foil label, ht. 29 3/4, wd. 56 1/4, dp. 18 1/2 in. 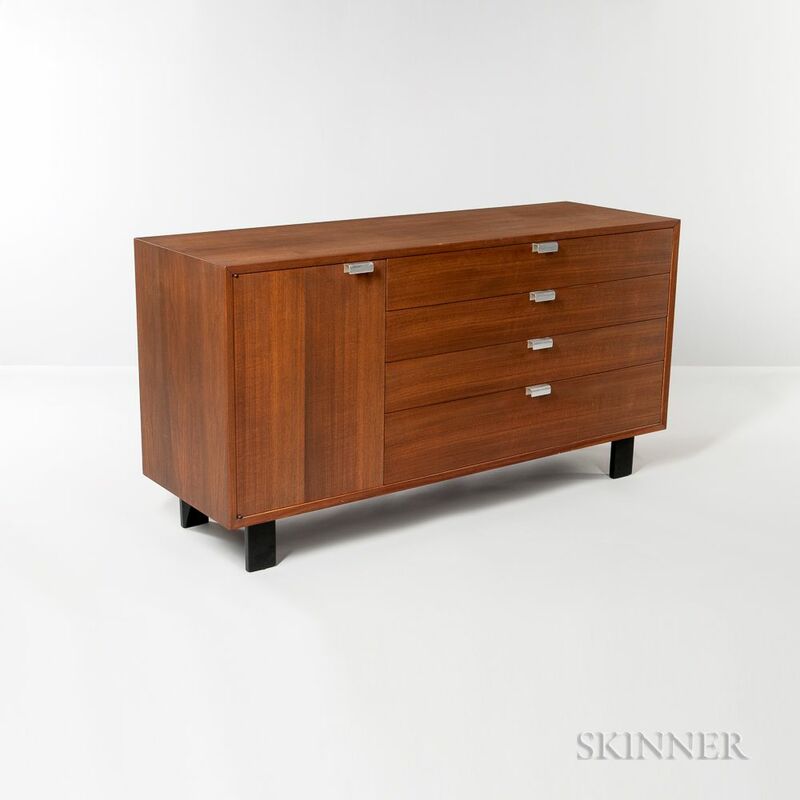 Provenance: Purchased from Contemporary on Harvard St. in Brookline, Massachusetts; one of the first Contemporary stores to sell modern American designs after World War II.